It may be hard to believe but most farmers are not the uneducated, hillbilly, backwoods hicks that people tend to think of. Most farmers don't operate a tractor from the 1930's or use a horse and plow to work their land. Just like most other professions, farmers attend training, seminars, workshops and conferences to learn of the newest technologies and what's new on the market. Just a couple weeks ago, I attended a local nut conference in which our day was filled with speakers discussing pest management, the newest pests to harm our industry, how to farm more with less water, and industry updates. At meetings such as this, farmers also have an opportunity to log hours. Yes, farmers have to attend a certain number of these seminars in a year to be able to spray their crops or handle any kind of pesticide or herbicide. My almond farmer husband is also a Pest Control Adviser, meaning he writes prescriptions for our almond trees when they need a little tender, love and care. But in order to know the best way to treat a sick tree or crop destroying pest, he has to attend meetings on the newest, most efficient and safest means to do so. There are a lot of larger companies, universities, and state agencies doing research for farmers. These agencies or private businesses are looking ahead at our problems and finding solutions. A small farmer of our size, doesn't have the time and resources for a trial and error on what works and what doesn't. So by attending these seminars we are able to learn what could work best for our farm by listening to these speakers and examining the data. As a farmer it is in our best interest to continue to educate ourselves on the newest pest, the newest machinery, the market trends and the newest irrigation efficiency tool. By educating ourselves, farmers are able to stay in business and operate on less resources. California farmers are being provided less and less water every year. Without a steady snow in the mountains, rain in the valley and reservoirs to capture the water, California agriculture could be a thing of the past. 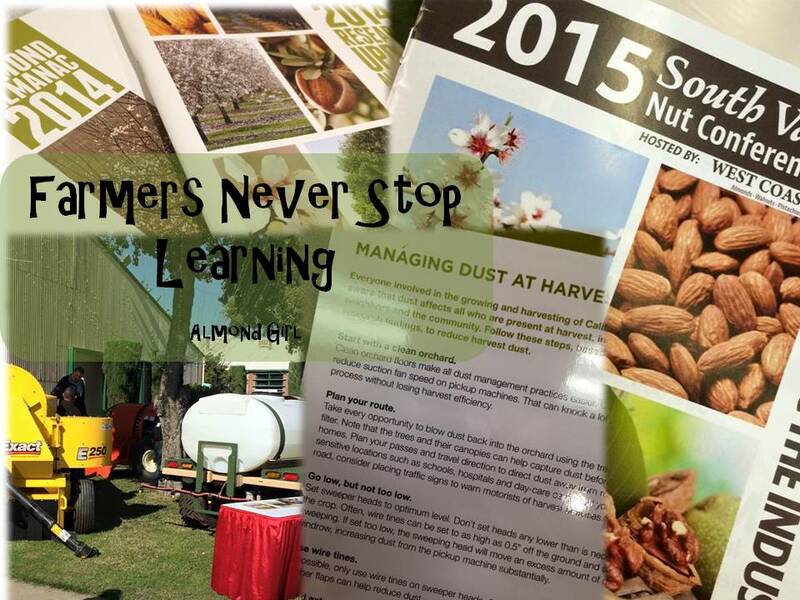 As a farmer, it is our job to attend seminars and conferences to help us maintain a smart and dependable food supply.